A private luxury marina proposed for development in Clipper Cove at Treasure Island will be drastically scaled back in a big victory for San Francisco Bay. Baykeeper, Save Clipper Cove, and other concerned organizations and residents have been advocating for several years to preserve Clipper Cove for wildlife habitat and as a public sailing and educational area. These efforts recently led to a decisive vote by the San Francisco Board of Supervisors to reject the large marina. The originally proposed marina development would have turned more than 32% of Clipper Cove over to large 40- to 80-foot yachts. Instead, the marina planning process will now move forward based on a minimum-impact design recommended by the Treasure Island Sailing Center, San Francisco’s only community sailing center, located at Clipper Cove. The vast majority of Clipper Cove will remain open, with the new marina scaled down to take up only 18% of the cove. This reduced development will help protect underwater habitat in the southern portion of Clipper Cove. The cove, a small inlet of San Francisco Bay between Treasure Island and Yerba Buena Island, is home to native eelgrass beds. This habitat provides shelter for young fish and shellfish, food for migratory birds, and a buffer that helps prevent shoreline erosion. Eelgrass is one of the rarest habitats in California. Placing a large marina in Clipper Cove could have harmed the eelgrass beds that provide existing vital habitat. The scaled-back marina design will also allow the Treasure Island Sailing Center to remain open at Clipper Cove. This program allows thousands of youth to access sailing opportunities, including a sailing program that serves over 1,500 San Francisco elementary schoolers each year. For most of these students, this program is their first time on the Bay or on a boat. The proposed large marina development would have robbed the educational sailing program of access to protected and calm water for beginning sailors. 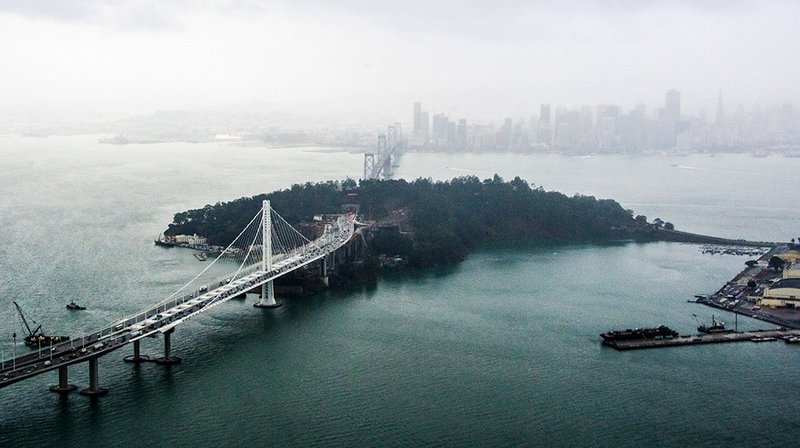 Baykeeper will continue to advocate for sustainable shoreline development to ensure that the important public access and environmental resources in San Francisco Bay are preserved.